Putting up a business is a tough field to go through. There are a lot of factors to consider before you settle down in a business venture that would bring in a reasonable financial gain. You have to make investments in equipment and other materials you need to start out a business before getting all the profit back to your savings. Although there are no certain outputs, sometimes you need to take a risky step to know how it will turn out. 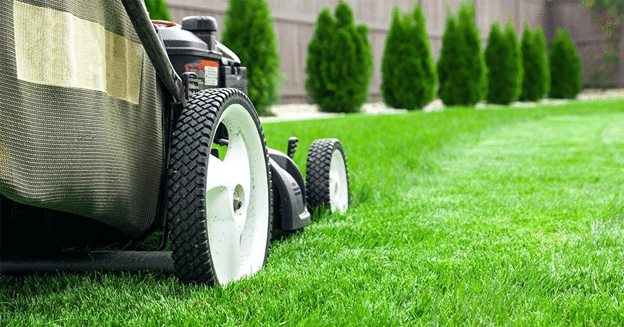 If you are planning to establish a lawn care business, will it be worth to try? It is probably hard to tell but you won’t know unless you do it. It takes a lot of careful planning and saving before you get to the peak of success. Proper evaluation of your financial ability, the equipment to use, the market you should capture, and an effective advertisement is highly imperative. 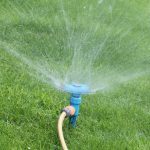 Before you take a huge leap to starting out your own lawn care business, there are essential factors you should greatly consider first. The success of your business depends on how you deliberately plan everything out. Apart from the money you need to spend and the equipment you should purchase, it also requires time, effort, and dedication. 1. Start with careful planning. If you are determined to put up a lawn care business, you need a solid layout of how the business will run. You can jot down all your ideas on how it will effectively grow while benefiting from the financial gain. The marketing plans, the expenses, the type of equipment to use, and the applications for legal documents or licenses are some of the essential elements you can include in your plan. If you are starting from scratch and you have completely no idea how to set up a lawn care business, you can browse the web and search for similar businesses in your area. You can always consult an expert to help you out. You can consider writing down the important details regarding the rates, scheduling of appointments and scope of your service, the locations you’re planning to cover, and the workers you will hire. 2. Know your goals. You can lead your business to a better growth and success if you set your goals. It is like setting your destination before you take off for a long drive out on the road. Otherwise, it will all be pointless and you’re just like freewheeling on the road with nowhere to go. The bottom line is: you should determine what you want to accomplish with your business. How much profit do you expect to get in your first year or perhaps, in the first three years? How many clients do you wish to serve in a day or in a week? Will you be running the business full-time or part-time? How many workers do you plan to hire? What are your rates? It will all depend on you. If you know what your goals are, you’ll have everything done according to the way you want it. Do know that this business has its peak seasons and not available all year-round. For most countries that have four seasons, winter might not be the best time as well as rainy season. This lasts for a couple of months so you should know what alternatives and adjustments you should apply when this time of the year comes. 3. Know your budget. The next major factor to consider is your financial ability. 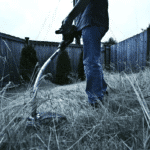 You have to assess your savings and how much you are willing to invest in a lawn maintenance business. A starting capital doesn’t need to cost a lot. If you only have little money to start out a business, it may suffice. Some homeowners apply for a business loan to back them up with their finances, particularly when purchasing the equipment. Just remember not to go beyond your budget with unnecessary expenses to prevent deficits and debts from different people or loan companies. It will cost a lot in the long run. You surely do not want to use all your earnings just for paying the debts. Stick with your budget and use it wisely. 4. Calculate the expenses. Once you have set your budget, the next thing to do is calculate the expenses. This includes the equipment you have to purchase and legal permits. You can also consider how much a weekly or monthly salary should be if you are planning to hire a worker. However, you can still put this aside for a different budgeting. It all depends on you. Keep everything in your budget and be willing to make adjustments. 5. Identify the market to capture. Before you put this business up, you should know the market to capture. Your clients may vary from homeowners, corporate companies, your neighbors, and a lot more. Identifying your market will also help you determine the type and number of equipment you need to use, if you need to hire more workers, the scope of your service, and the specific areas and locations you can cover. The target market also helps you determine the rates you should apply. If your sole focus is your neighbors and homeowners, you may give a little consideration and set rates according to their financial capacity. Targeting corporate establishments and companies may cost differently. 6. Choose the right equipment. A lawn care business is nothing without the equipment. Purchasing the right equipment is another tough phase. If you are very familiar with gardening and mowing equipment, that might be less of a problem. But keep in mind that you only have a designated budget for the equipment so you have to use it very carefully. Although you should be frugal, it doesn’t mean you have to settle down with cheap and low-quality materials. They will cost a lot in the long run due to repairs and high maintenance. There are high-quality tools and equipment that you can buy at a low cost. Some, however, come with a hefty price but guarantee an excellent quality and service that you can use for many years to come. You can search for the brands and the features you need. You can also choose the ones that offer a reasonable duration of the warranty. Your services will also help you identify the right equipment to choose. 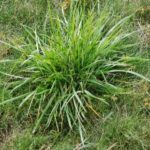 You may opt for gas-powered weed eaters and battery-powered weed eaters for grass trimming preferably in smaller areas. 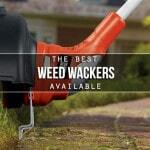 The best electric weed eaters will work on small gardens and moderate grass. 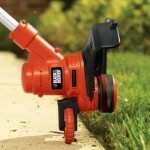 For heavy-duty grass trimming, especially on larger lawn areas, a lawn mower is what you need. 7. Apply for a business license and insurance. It is a must to keep your business legal. You can apply for a business license according to the terms in your city. You can inquire the city government about the requirements and the fees. Another important factor to consider is getting an insurance for your business when damages and issues arise. You can opt for an insurance that will cover the damages in your vehicles and equipment. And if you need to shoulder your clients’ concerns and issues regarding the damages in their property during the operation, a business liability insurance would be quite helpful. Purchasing an insurance is an addition to your expenses. Make sure to choose a trustworthy insurance company that will back you up when damages and problems occur. 8. Train your workers. If you’re planning to hire workers for your business, training is a must. You should invest time and effort to help others be skilled. Although it is better to hire the ones who are skilled and are highly experienced with the job, you can also give others the opportunity to learn and grow. Hire the ones who are willing to learn and in the long run, they’ll be a great help to assist others. 9. Advertise your business. Another way to help your business grow is through advertisements. Nowadays, social media outlets such as Facebook can be an effective step to promote the business. If it is within your budget, you can produce fliers, tarpaulins, and classified ads to spread the word. You can also list your prospects and email them about it. Why don’t you try advertising your business to your neighbors or relatives first? It will help you get referrals, too! 10. Keep learning. When you’re at the peak of success or the business becomes stable, you shouldn’t stop learning. Seek for more ideas and learn how to keep your business growing. Remember your goals and the reasons why you put up this business. You can always come up with fresh ideas for utmost services with reasonable rates. Your clients and workers play a huge role in the growth and success of your business so don’t forget to value them. Getting through the first year of your business will help you evaluate what needs to be improved. Should you invest in service vehicles to save time and effort? How many workers do you need to hire more or should you lay some of them off? How many hours does it take to complete a job? Are your rates too low or too expensive? Is it necessary to add more equipment? Only you can answer these questions. 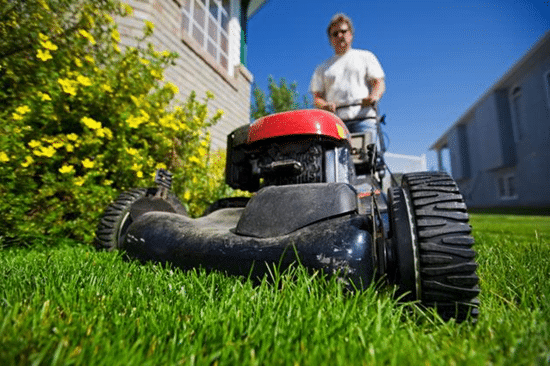 Should You Establish a Lawn Care Business Now? 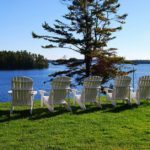 If you are able to meet the requirements for establishing a lawn care business, then you’re good to go! Just take it one step at a time and do not make abrupt decisions. You can consider the tips mentioned to guide you in establishing your own business. Set your goals but always be realistic. You can start with little accomplishments and it will encourage you to grow, learn, and achieve more until you head your way to bigger accomplishments. Don’t be too devastated when you come across failures. There might be issues with your equipment, services, clients, and workers. Your first year might not always be a success but you can take these failures and troubles as opportunities to learn more and improve. Good business tips! Thanks for sharing!